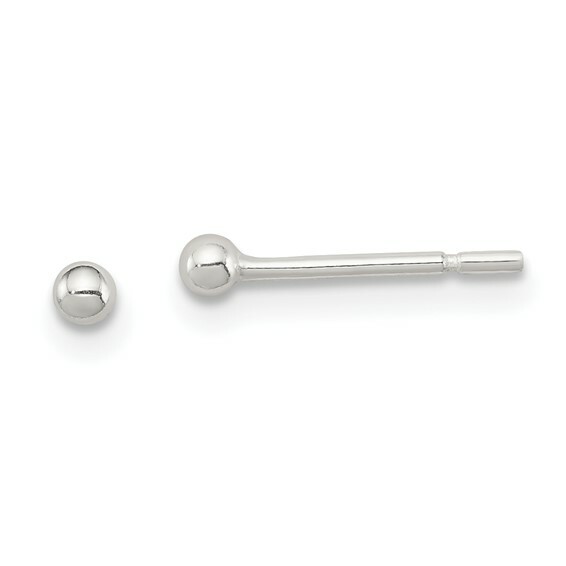 Sterling Silver Polished 2mm Ball Earrings. Weight:0.34 grams. I have worn every day since purchased.